No matter how you feel about film (sacrilege! ), or the saturated, low-fi aesthetic of lomography, you've got to admit there's something special about the brightly colored Lomo cameras and their countless iterations. Something that looks that fun must be fun, right? If you've ever had the urge to buy one, now's the time. They're on sale. Isn't it wonderful how Lomo cameras—an instrument we use to photograph pleasing images—are in fact lovely objects we'd love to photograph. SO META. But the constant stream of limited edition patterns and design tweaks only bolsters this lomo-fetishism. 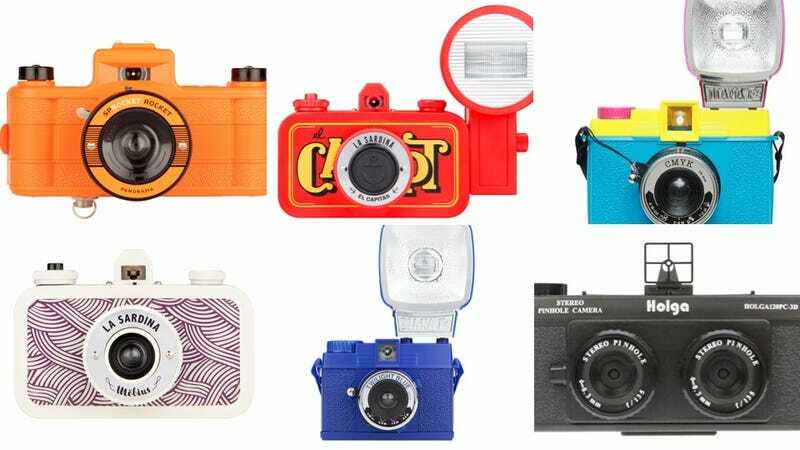 I wonder if the legions of devoted lomographers out there use their Lomo cams to take pictures of their Lomo cam collections. Whoa. Brain. Hurt. Lomo.